SDPCA is a 501c(6) nonprofit membership association. Its members provide coaching and other services in their own name or in the name of their businesses to individual clients. SDPCA does not attest to the experience, qualifications or accuracy of the information provided in their profile as the coach is solely responsible for providing that information. SDPCA cannot endorse any member coach nor does it take responsibility for the performance of their services. SDPCA is not a party to any agreement between a coach and his or her client and, as such, SDPCA cannot advise, resolve or mediate any issue that a client asserts against a coach. 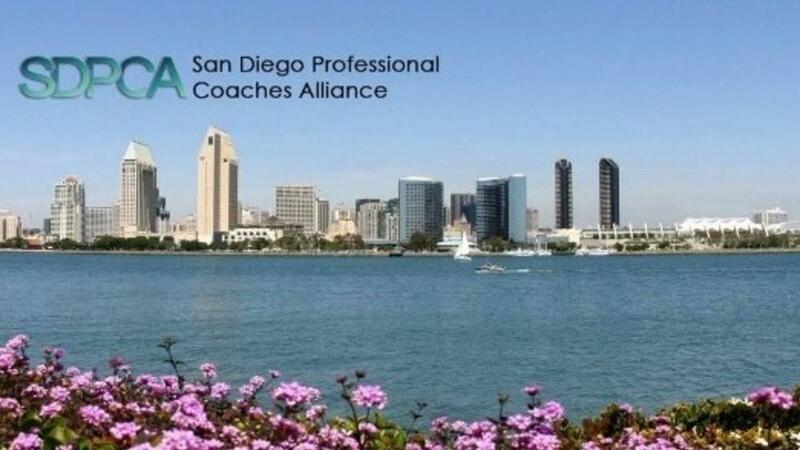 The coach members of San Diego Professional Coaches Alliance bring a wide range of experience and professional qualifications to assist organizations and individuals who want to become more effective and successful in some aspect of their business and life. Coaches in this category typically work with individuals within an organization to help them improve their performance and that of their organization. The fundamental premise is that the individuals have the answers to their challenges. The powerful questions of a coach provide the opportunity to sort it out or develop a new perspective or approach on how to accomplish their desired result. A coach provides the individuals an opportunity to clarify issues and opportunities, establish action plans to overcome roadblocks, and hold them accountable for accomplishing their desired outcomes. The methods (called modalities) that coaches use when working with clients may include questioning, observing, and using assessments (often referred to as instruments) that help the individuals to see themselves as they are seen by others, to see how their actions affect others, or to see what they need to do to overcome resistance by others caused by their actions. Coaches may work with clients face-to-face, by telephone, email or in group settings depending on circumstances. Coaching is more effective when it is used as an opportunity to improve an individual’s performance, enhance their career, or facilitate a career change. It is less effective when attempting to fix an individual’s performance that results from attitudinal or other personal issues that are unrelated to their job. Many business coaches specialize in areas such as career coach, career transition, executive coach, leadership coach, management coach and retirement. Select the Business Coaches category (on the right) to display a list of business coaches. Coaches in this category focus on the individual’s personal development. Unlike business coaching, which is typically geared towards leadership development that drives specific outcomes for a business or organization, life coaches focus on the individual’s goals. Many life coaches specialize in areas such as health and wellness, self-esteem and confidence, personal finance, time management and work-life balance, to name a few. While the enrollment process might be very similar for an executive coach and a life coach, the questions and conversations tend to address the individual’s well-being more deeply, exploring internal belief systems to foster crucial mindset shifts that allow for good habits to be developed. In life coaching, the desired results are defined by the person being coached, and not by a business or organization. The coach and client then partner to co-create the plan and possibilities and, then define and execute the action steps that are necessary to achieve those results. Select the Life Coaches category (on the right) to display a list of business coaches. Performance Coaches help clients put their best foot forward in how the world sees them and/or the organization they represent. Bringing their years of expertise, these coaches turn powerful inquiry of the client’s needs into defined intentions so that actionable guidance can be laid out to lead the individual toward success. Through exercises, practice, review, experimentation, and direct feedback, clients reach outstanding results they would have struggled to achieve on their own. Depending on which of these performance categories the client is seeking, the results might be highly tangible (such as a marketing piece or a new book) or a noticeable improvement in ability (as in turning out chapters with greater ease) or a combination of both (i.e. : creating a speech together that didn’t exist before and delivering it powerfully). Performance coaches may specialize in areas such as marketing, media production, public speaking, publishing storytelling, video, or voice. Select the Performance Coaches category (on the right) to display a list of business coaches. Consulting is bringing experience, skills and knowledge to help an individual or an organization solve an issue where the organization could benefit from an independent perspective to analyze, evaluate, and/or recommend procedures or processes to achieve specific goals or outcomes. Consultants are typically experts based on their significant prior expertise in a functional area and/or industry. Consultants advise and recommend on strategy, operations, or processes in professional and technical areas, such as: financial, human resources, marketing, logistics, operations, and other technical areas. Consultants operate under the premise that they have the responsibility to make recommendations and give advice on a range of issues on which they have substantial experience. Mentoring is a professional relationship in which an experienced person (the mentor) assists another (the mentee) in developing specific skills and knowledge that will enhance the less-experienced person’s professional and personal growth. This is usually based on extensive prior background and experience of the mentor in the skills/areas where mentees are working/practicing and want to learn more about. Mentoring can be offered informally or as part of a formal mentoring program. A Facilitators a content-neutral role where the individual contracted is experienced at enabling groups and organizations to work together more effectively, collaborate, and achieve synergy. Facilitators do not make recommendations or give advice. They focus on creating an open environment where everyone’s views are respected and considered. Facilitating is often used to enable individuals, business and organizations to improve strategic planning sessions, improve teambuilding, and initiate organizational change. It is intended to help forward or assist the progress (an action, a process, etc.) of a person or organization. Facilitators may also be retained as Trainers. Advising is offering an opinion, recommendation or suggestion based on the knowledge and prior experience of the person giving the advice. Advising is often given as part of consulting or mentoring, but not in conjunction with coaching. Coaches are sometimes asked for advice based on the coach’s experience but the distinction between coaching and advising needs to be clearly understood by both the client and the coach.